Thailand is a must-see destination. As one of the easiest countries that I have ever travelled, it is a fantastic place to spend a week, a month or a year. Thailand is one of those countries that draw people to it. With stunning coastline, vibrant culture and exciting wildlife, it has everything an avid traveller could desire. The reason that teaching in Thailand is such a fantastic prospect is because it enables you to call this paradise your home. Here are my top 9 reasons why gaining a TEFL and spending time to teach in Thailand is a great experience for your gap year abroad. 1. Every teacher will say that kids ‘make’ the job, but don’t be fooled into thinking they are all angels. The children in Thailand are notoriously welcoming, but discipline and structure in schools in Thailand is unlike the western world. Students will all be friendly, but some may have a cheeky side. This is half of the fun of teaching. Working with any group of children, anywhere in the world is guaranteed to be eye-opening and fun! 2. The best year abroad is when you spend your time doing something worthwhile. Teaching is thoroughly rewarding. Helping children to speak English could help their future employability. Although creating a class of fluent English speakers may be unlikely, you can create a group of enthusiastic life-long language learners – and that is a something to be proud of! 3. There is a high demand for teachers in Thailand. The government want to encourage native English speakers with degrees to teach in the country to help young people to develop their language skills. 4. Thailand is an easy country to travel round. There are trains, airports, buses and boats that are all readily available. It is a country that is geared up for tourism and once you are a local, you will very quickly get your bearings. 5. A a great springboard for further travel, Thailand borders Laos and Cambodia. It is incredibly easy to travel the entirety of Southeast Asia while you are away. Each country is unique and has a different feel, but one constant is the exceptionally hospitable locals. 6. 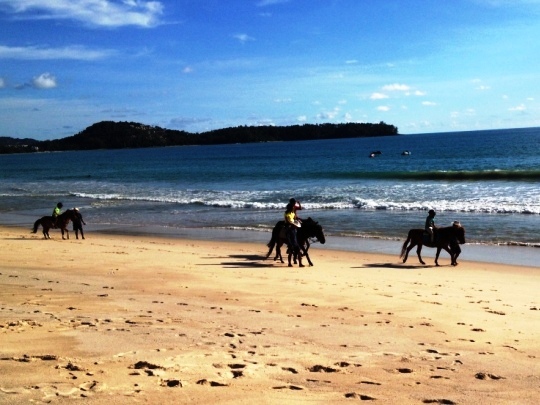 If you earn a TEFL in Thailand, you are not restricted to only use it in one country. Concerned about choosing the right qualification- read my previous blog about choosing the right TEFL course. By completing a TEFL in Thailand, when you intend to teach after, helps you to understand the customs and culture of the children. 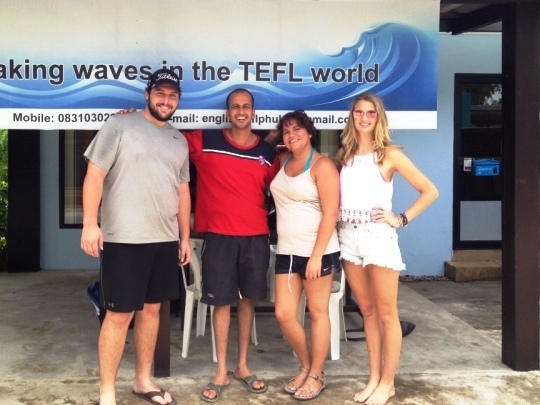 On our TEFL programme in Thailand, the course provider, Tom, supports people who are looking to work in Thailand after the 3 week course and he has great local knowledge of the schools. 7. Predictably, most who return from Thailand rave at length about the food. Forget your Thai takeaway at home – this is the real deal! Packed to the brim with flavours, combining sweet, fruity tastes with hot spice, food in Thailand is delicious. There are a few dishes that I have tried to recreate since my visit- without much success- but my personal favourite is the Massaman curry, containing peanuts, cinnamon and potato. As someone who is easily bored by food- this dish never disappoints. As a teacher in Thailand, you will get to eat exciting food every day! 8. If you are excited by the prospect of living in a country brimming with culture then Thailand is a perfect destination to teach in. Buddhism is the predominant religion in the country. The buddhist way of life is facsinating with its peaceful ethos and rich historical practices. Prepare to be blown away by the intricate statues and monuments that can be found all over the country. 9. With the diversity of religions and cultures, Thailand is known for its vibrant festivals. Many travel especially to be part of the excitement. As a teacher in Thailand, you can be part of as many as you want and see the festivals throughout the year. Feeling inspired to teach in the ‘Land of Smiles’? 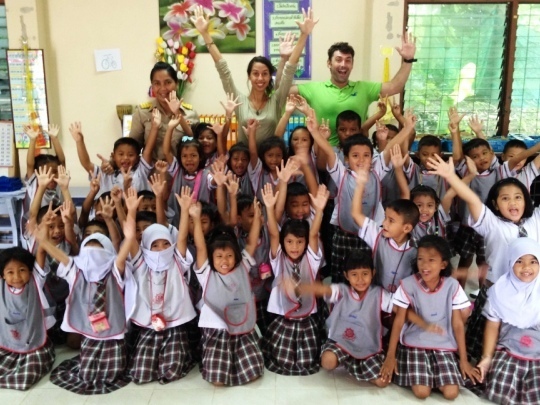 Check out Oyster Worldwide’s gain a TEFL and teach English in Thailand page for more information about our programme.